HECO-SCHRAUBEN GMBH & CO. KG, Fixare - materiale, Suruburi, Screw anchors, pe EUROPAGES. 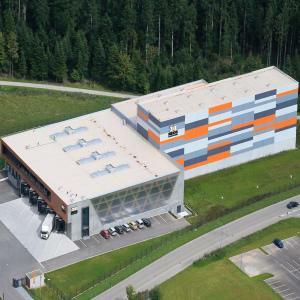 Based in Schramberg, HECO-Schrauben GmbH & Co. KG is one of Germany’s leading manufacturers of screw and fixing systems for wood construction, concrete and metal applications as well as for heavy-duty fixings. 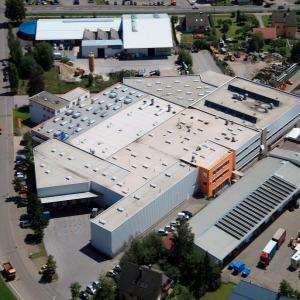 The company currently employs 300 people and avails of a production area spanning 20, 000 m2. The total annual production volume at HECO is approx. 1.5 billion screws. The range includes screws measuring between 2.5 mm and 20 mm in diameter and 10 mm and 3000 mm in length. The branded products are developed and produced directly by HECO. The company offers national technical approvals for all product ranges in the form of national or European Technical Approval (ETA). This offer is rounded off by a large portfolio of services. HECO branded products are represented world-wide, either in the form of exclusive sales points or reliable sales partners. Core markets in Europe are Germany, Austria, Switzerland, Benelux and France. HECO collaborates with licensed partners in the USA. This medium-sized family company practices unambiguous values such as imagination, reliability and quality awareness. A high degree of involvement, innovative force and teamwork are equally anchored in the corporate philosophy pursued by HECO as are its clear commitment to its location, employees and social responsibility.